Yikes! The show is almost here. Been unpacking boxes and cataloging work for the show which opens on Friday night. What appeared to be a daunting task feels fairly under control right now thanks to the help of friends and family. Having a one woman show is equally exciting and scary at the same time. So many details to fret over. I think most of the pieces are labeled and placed, now its time to think about lighting, food, drink, flowers, and DUST! Somehow I think the dust fairies are working overtime and they are all at TWOXLart Gallery! Hopefully everything will be in place by Friday. 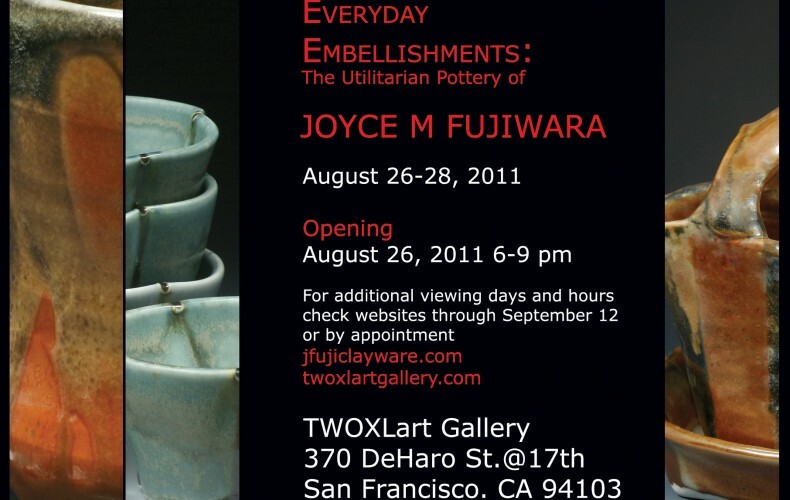 No matter what, come to the show to see my new work or just stop by to say hello. 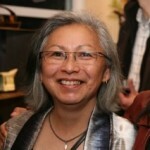 check our websites for updates or make an appointment through Sept 11, 2011. 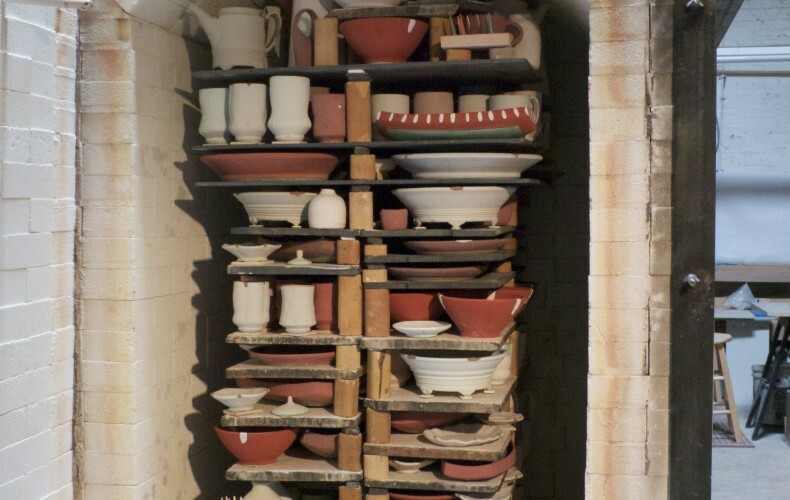 The photo above shows my last load of pre-fired pots at Bluxome Street. In all the excitement of unloading my last kiln I forgot to take a photo of the post fired ware. 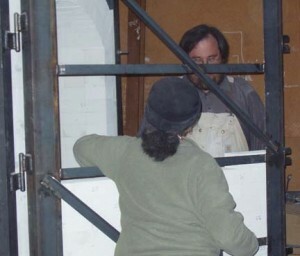 Opening the kiln is always a time filled with a myriad of emotion, anticipation, excitement, and dread. Though you would like to think that you are the master of every firing, sometimes the kiln in its ever changing behavior gets the best of you. As the final notation on my kiln firing log stated, “the kiln won this one,” I have to say my gut feelings that night after the firing was over were pretty spot on. Somehow I let the kiln get the best of me. I am not saying that I did not get some gems from the kiln, but overall it did not meet the higher expectations I had envisioned. Except for a few leftover pieces, the kiln is loaded and will be ready to be closed up this afternoon. It is always exciting to finally fire all the work I have been creating during the year, but this firing is bittersweet as it will be my last load of pots from the kiln that John, Kyle, and I built when we moved to 61 Bluxome Street. 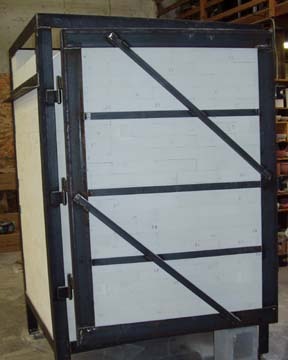 The building of the kiln was truly a meeting of three minds… each of us knew just enough that when pulled together manifested in a large high fire, gas reduction, downdraft kiln. I remember driving to the Bayview district after classes had ended one evening to pick up the kiln frame, rolling it down the street and into the back of the studio where we set it in place under the vent that was already in place. I also remember the first time we lit the burners and peered through the open door and saw the magic of flames. Though not the most efficient kiln around, it has served us well during our five wonderful years at The Clay Studio, 61 Bluxome Street. Whenever you change kilns you can never be sure what the results will be, but I can say that this kiln is certainly capable of producing some beauties. I was afraid when we made the move from Harrison Street that I was fated to lose the success I had with my carbon trap glazes, but not only was I successful, I think they are richer. 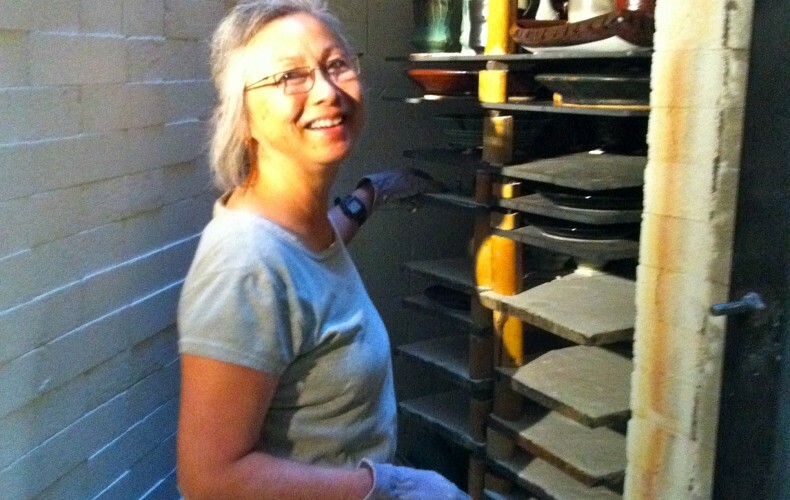 So, heres hoping that this final load in our faithful kiln will be a great success! My spirits were lifted yesterday after Tim brought the mail in last night. Every now and then I try to enter my work into pottery competitions and so far this year I have only entered one. 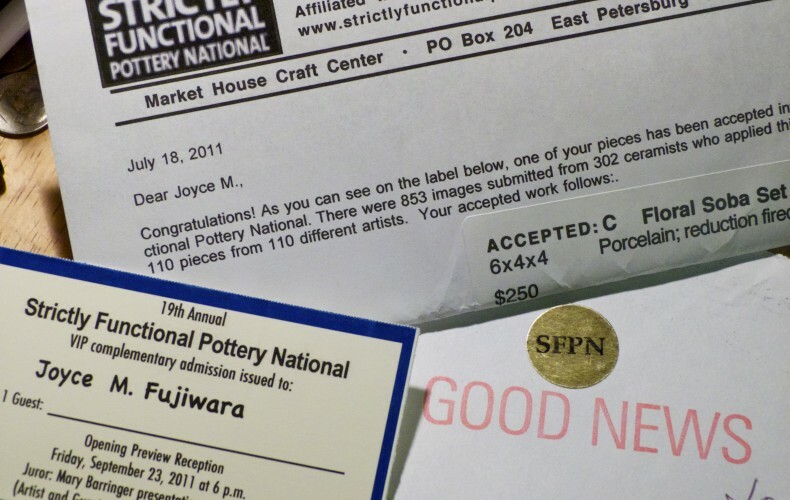 I have been expecting a reply from a national functional pottery show, Strictly Functional Pottery National, which is held annually in Lancaster, Pennsylvania. 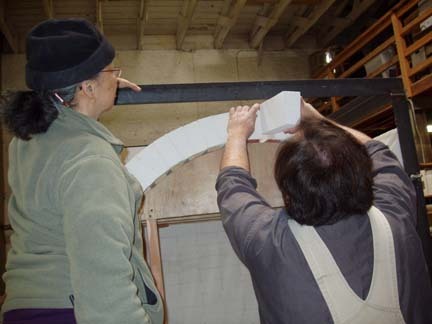 This years judge, Mary Barringer, is a handbuilder so I was not sure if I had any chance of getting in the show. Finally I have made progress on the postcard for my upcoming show that, as you see on the card, will be held at TWOXLart Gallery during the month of August through Sept 12th. When I started to prepare the postcard for the upcoming exhibition I knew I had to dig deep in my memory bank to try to remember any information I might have regarding the use of Photoshop. A couple of years ago I took a very basic intro to Photoshop course where I learned just enough so that I could create postcards and manage basic changes in image size – must have info for any artist trying to enter competitions these days.